TOO BIG OR TOO SMALL FOR DJ GOYO. Having spent many years collecting records from all over the world, Dj Goyo’s taste for music is quite extensive. ** Microphones and Emcee services are included. 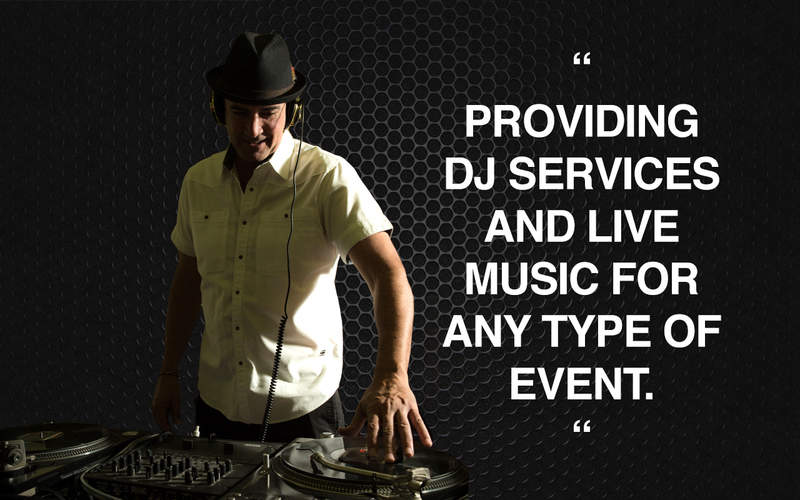 Dj Goyo works with other musicians providing music and sound for corporate events, private parties, wedding or any occasion where good music is needed. Microphones, party lights, mirror ball, fog machine or an extra sound system setup are also available upon request. DJ Goyo rocked our wedding! DJ Goyo and Eya played at my wedding in August and they were absolutely fabulous! They set a very unique, cool mood with their acoustic music via harp and bass. Both musicians were very chill and easy to work with. After dinner, Goyo laid down some beats with his old-school vinyls. We had an upbeat crowd who danced the night away! If you’re looking to avoid the usual cheesy DJ in a tuxedo and bow tie, DJ Goyo’s your guy! Thank you so much for the fantastic music played at our reception. Everyone really enjoyed themselves, especially the women from Sid’s office! And it was wonderful to see all the different people dancing and so happy. Thank you! I don’t know what was hotter – the dj or the sounds emanating from his groovy vibe energy. We danced all night, partied hard, and loved every minute of it!! Thank you for bringing the party with you! But still has all the current hits. Great feel for the crowd and the music. People at our party loved dancing to his stuff. Works with you before the event as much as you want to build a possible play list of tunes you like. Highly recommended.